No one wants to come home to puddles of water on the floor caused by a backed-up sewage line or have to take a cold shower because of a busted water heater. After a long day at work, you just want to sit back and relax, but you can’t do that when you have these house problems plaguing you. Anything that is constantly under pressure will give in sooner or later. And if you don’t have your water lines inspected regularly, this will likely be sooner rather than later. Plumbing inspections will cost you extra, but think of them it as spending to protect your investment, identifying problems before they worsen and cause more damage. The same goes for sewage lines. These can get clogged up with toilet paper or they can be affected by tree roots or earth movement. If your sewage line gets clogged up, waste water can back up into your home, causing discomfort and other issues. Having your sewage line inspected regularly can prevent major damage to the system, letting you avoid costly clogged sewer line repair. A home’s heating system plays a major role in your comfort, especially during winter. Unfortunately, such systems are also prone to wear and tear, with even small problems capable of bringing down an entire system. When this happens, you’ll probably want to know what water heater repair cost to expect. To secure a fair price, it would be best to contact a reliable plumbing services company that can inspect your heating system and identify problems before they ruin your whole HVAC system. Let Us Help You Make Your Home More Comfortable! 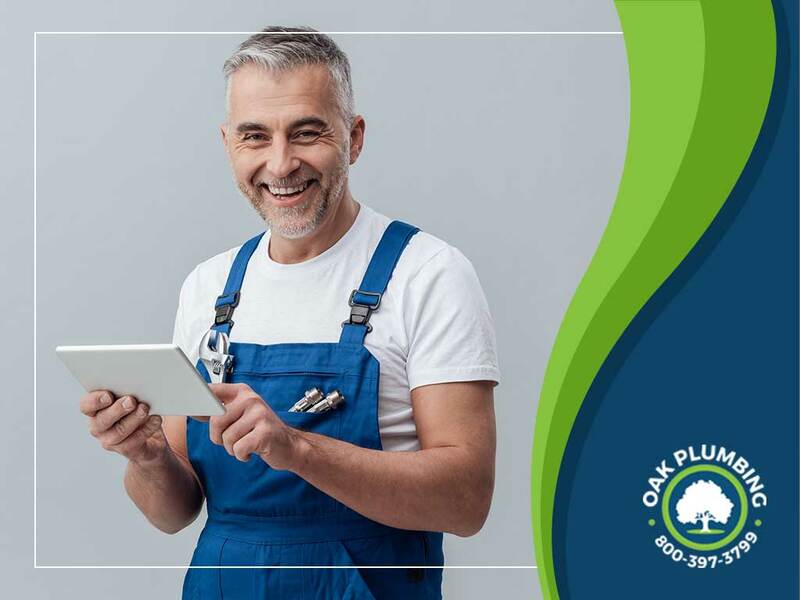 Worrying about your home’s plumbing is a thing of the past with Oak Plumbing’s expert services. As one of the most trusted services provider in Benicia, CA, and the surrounding communities, we can make sure your home is free of plumbing problems, ensuring you’ll only come home to comfort and relaxation. Call us today at 1-800-397-3799 to schedule a consultation!